If you're looking for a kitchen gadget with multiple uses, opt for the Hinari MB280 The Genie Multi-Attachment Blender. This clever appliance comprised of 15 pieces is all you need for a number of everyday food preparation processes. It's compact and lightweight and dismantles for easy cleaning. The Genie is essentially a traditional or jug blender, a more solid and secure option than hand blenders which are preferred for their mobility and lightweight designs. These traditional blenders perform a number of helpful kitchen functions including chopping, blending, mixing, whipping and pureeing--all of which the genie does. And more. The Genie boasts eight core food preparation functions, adding grinding, grating and juicing to the list--so whatever you're looking to conjure up to feast on--the Genie can help. Whether you want to puree some scrumptious sauces or baby food; squeeze some fresh fruit juice; chop some vegetables such as onions, carrots and garlic (without getting your hands mucky or smelly); whip up some cream, soft cheese or butter; effortlessly mix dough, chunky dips like salsa or sauces like pesto; grind coffee, nuts or rock salt; blend a mouth-watering milkshake, smoothie or soup or grate cheese, chocolate and breadcrumbs. There's plenty more fun food and drink ideas, such as cocktails, dressings, marinades--the options go on and on. The extensive 15 piece set centres around the high-torque power base unit. This is a stylish silver/ metallic shade which neatly complements contemporary and modern-looking kitchens and is made from plastic so isn't too heavy or difficult to manoeuvre. 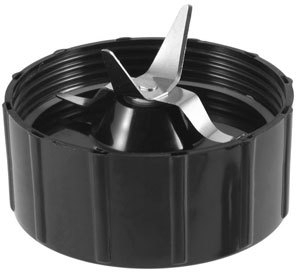 It's also small and compact and so doesn't hog all the room on your kitchen worktop--ideal for limited spaces--and inside this base is a 230 watt (W) motor which powers the blades. There are two different blades included in the Genie set--a flat blade and a cross blade. Both blades are made from stainless steel which is less corrosive and more resistant to rusting than other materials and boasts antibacterial properties that keep it hygienic. The flat blade, as its name suggests, lies flat and is for grinding and chopping, while the cross has four points of which two are flat and two are raised helping it perform all other uses. Once the desired blade has been chosen, the last step is to select what piece of kit goes on the top and here the Genie really has fun with a wide range to choose from. The largest of the options is the traditional blending jug. This measures one litre (l) and is plastic for easier lifting and pouring. You can also add the juice extractor to the jug to help prepare fresh fruit juices such as orange, grapefruit and carrot without getting fruit pulp all over your kitchen. Blend without the jug thanks to the included cups. There are two of varying size--one which is fairly large and dome-shaped, the other much smaller to better accommodate smaller amounts. Both offer alternative sizes to the roomier jug and so help you work to your requirements. Or add some colour to your next party with the set of four party cups with removable brightly coloured rings around the rim. Available in yellow, red, blue and green--choose your favourite to use for both preparing and serving your drinks in style. Both the jugs and the range of cups neatly fit onto the base so you can prepare and serve straightaway minimising mess as it cuts down on washing up and saves time when playing host. And to control how long the process lasts, simply depress the Go button for your desired length of time. This gives you complete control so there's no waiting around for a cycle to finish. If you want to keep your food/ drink fresh, the kit includes two re-sealable lids which preserve the freshness or if you're looking to serve your drinks with flair, there are two shaker/ steamer tops. Simply place this on top of your drink and sprinkle chocolate flakes (or whatever tasty topping takes your fancy) onto it. The topping will fall through the holes and once removed will reveal an attractive pattern on the top of your drink. 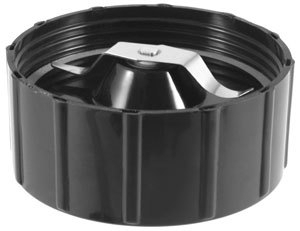 Alternatively these lid holes act as a release mechanism for the steam of hot drinks allowing the steam to escape safely even when the lid is on for people on the go. The kit is completed by the recipe book which is packed with fun suggestions to get busy in the kitchen. 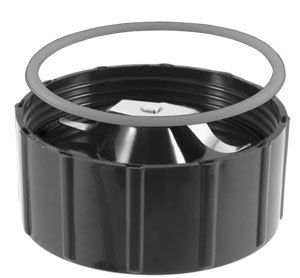 The blades have a sealing gasket fitted inside the cap as shown. Under normal circumstances, they should not need to be removed. However, if you do have to remove them, ensure that they are fully fitted into the slot in the blade cap without being twisted or kinked. Failure to do so can cause the gasket to become damaged.